In 2015 we embarked on a new life journey that we are still exploring and figuring out and touching tenderly like when you have a sore spot in your mouth you keep poking with your tongue. 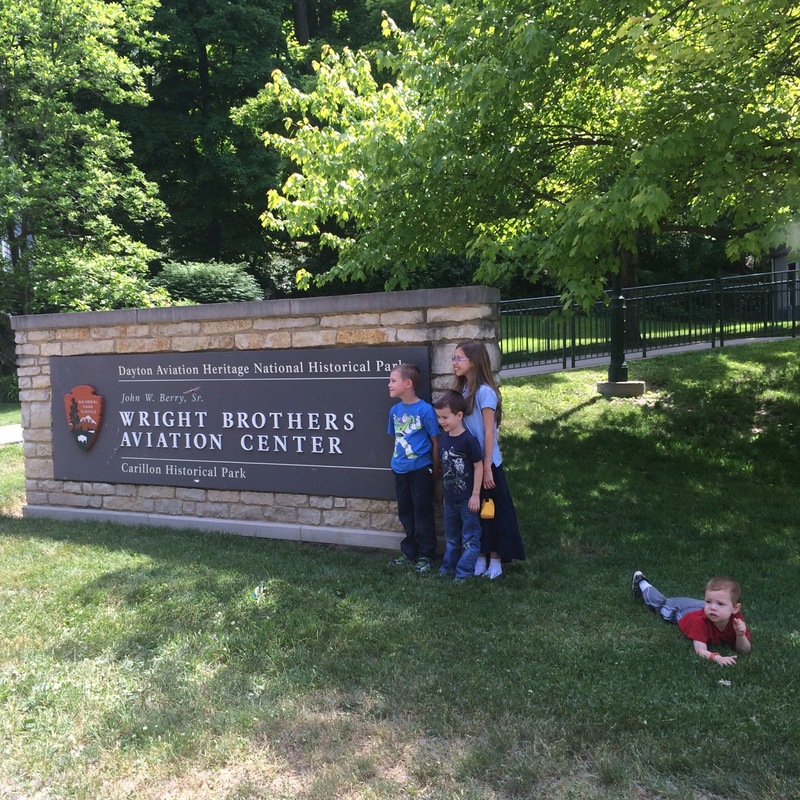 Part of that journey is a family mission to spend the night in all 50 states. These are our own arbitrary rules, but all 6 of us have to spend the night and do something iconic for the state to count. So, my layover in Minneapolis does not count as having been to Minnesota. That time I drove a snowmobile on a frozen river in Alaska counts for me, but not the whole family. When the whole family camped in one 4-man tent in Yellowstone and managed to suffocate a small rodent under our tent at night, that felt like we pretty much covered Wyoming. You get the idea. We have now been to all 50 US states as a family of 6. And it really has been amazing. I get a lot of questions about how we “do that with four kids,” but honestly, I do everything with four kids so you just kind of get used to it. I know what people mean, though. They want to know what it’s like to schlep through the airport or ride in the car for hours every day or to be in a new hotel every night. They want to know how we keep little personalities happy and relaxed on vacation (we don’t, so don’t expect that miracle piece of information). They want to know if it’s something they might be able to do (or want to do) with their own kids. 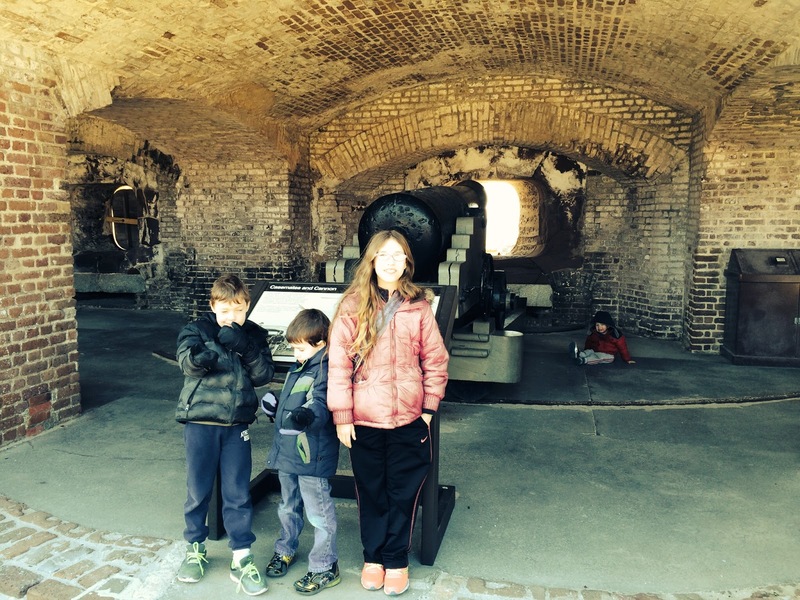 So, here’s what it’s really like to travel with kids. Everything about having children is crazily inconvenient. It takes for-freaking-ever to get in and out of cars. And in and out of hotels. And in and out of restaurants. If we fly, we travel with car seats that we take through security and onto the airplane. People sometimes groan out loud when they see us coming. Strangers will comment on our children–sometimes with “you’re doing such a good job with them” (usually from old people) and sometimes “are they ALL yours?” (usually from anyone else). Kids get hungry and tired and irrational and don’t always get the significance of what they’re doing. It is totally inconvenient to schedule and go and shake up anything about the systems in place to function that we have at home. We go anyway. With children who are at times irritable and ungrateful and grumpy–because we are a family team and life wasn’t going to be much more convenient at home anyway. Travel is kind of unpredictable no matter who you take with you. Hotels are not always as great as they seemed online. The new town you’re in may not have anything your kids like to eat. We never know when someone might melt down, need to go potty, decide they’re having a terrible time, or just plain rebel against an activity. There’s more crying in the airport than when we go places without kids. There’re a lot more bathroom stops. We also don’t know where we’re going a lot of the time and that makes the whole thing unpredictable. Instead of being a negative, though, I think it’s good for the kids. They see us have to make decisions based on new information and new problems. We’ve changed hotel rooms while driving down the freeway because we realized we could get further than we thought and we’d rather drive less tomorrow. We’ve had to use real, actual maps because cell service doesn’t work everywhere in the nation (especially near national parks). 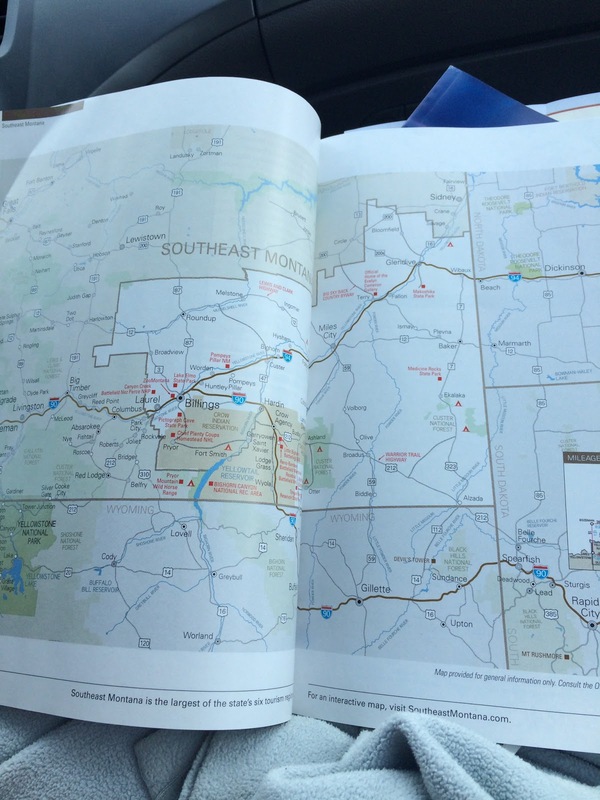 Actual map of Montana–see how there’s no blue dot for my car? Life is unpredictable and this is a pretty fun way to practice making decisions on the fly and negotiating with loved ones and communicating when we’re tired and hungry and stressed. 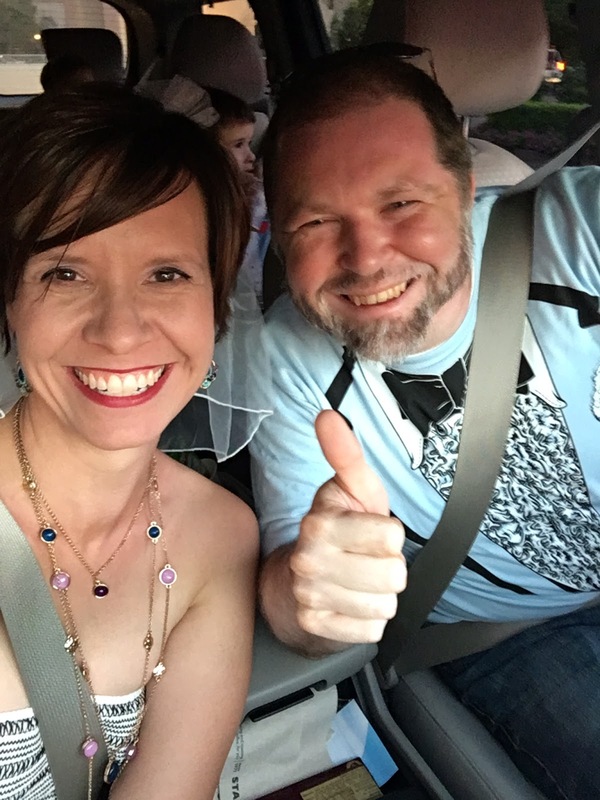 Jay and I get frustrated, but we’re stuck in the car or the hotel and the kids get to see us work it out without ruining the day. Children are disgusting. For that reason I travel with an elephant’s worth of Wet Ones and hand sanitizer. This is so ingrained in my daughter that she pulled hand sanitizer out of her purse at church today when they got a snack. We’ve had vomit in the car more than once (different kids, different trips) and diarrhea in the car once. That was not good. We have had children with enough sand to start building a hurricane barrier in their shorts and a flight to catch in an hour (poor parent decision making there–and also why I wound up in an outdoor shower with a Russian man and a naked toddler). We have had loveys left in horrible places, rubbed all over hotel room floors, and then kissed profusely when they were found. Seriously. Super gross. 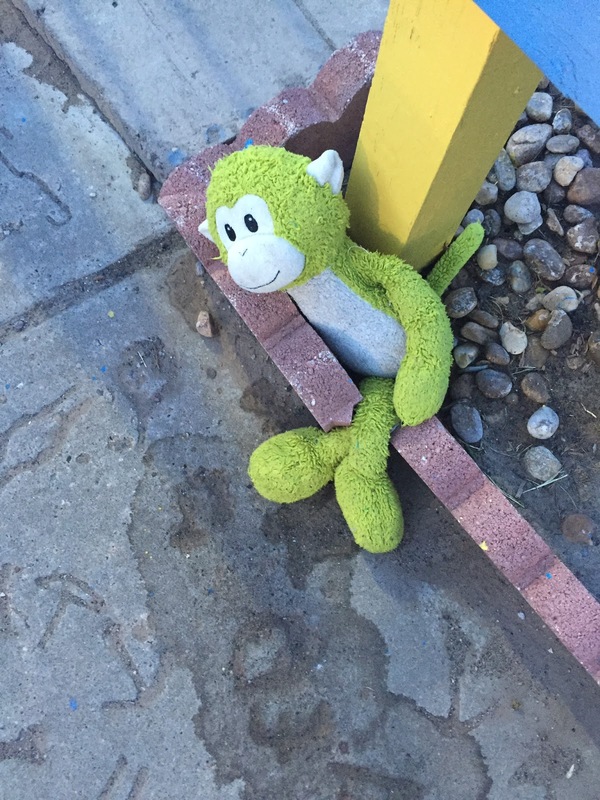 A-a the Monkey was found in the parking lot of The Big Texan Steak House (home of the 72oz steak) underneath two guys smoking in the parking lot in Amarillo, Texas. At least as gross as it sounds. You do not enter any location unnoticed when you have children. We have fights over who gets to press the button in the elevator. We unintentionally block the escalator at the airport. We are not quiet. We are not stealthy. We have been asked to leave the tour at Independence Hall, laughed at (good-naturedly) by retirees in line at the National History Museum in D.C., and directly addressed by TSA agents in Atlanta, Seattle, and LA. So many strangers comment on our small kids that I don’t even notice it most of the time anymore. A Japanese man and I had a conversation in broken English outside Yellowstone Lodge about how I did, in fact, give birth to them myself. Mostly I find this hilarious, but it certainly takes more bravado than I expected. Sometimes it’s our own fault. It was really funny to have an Elvis wedding (actually a vow renewal–we have been married for quite a while) in Vegas. I did not, however, anticipate how much courage it took to walk through the lobby of Paris Las Vegas wearing my veil and followed by the children. I was told congratulations, so that was nice. But definitely not low key. New Orleans has lovely trolleys, but they are located in the middle of the street so there’s about a 5 foot gap between child-killing traffic and child-killing trolleys. We’ve driven on roads that had us white knuckling the steering wheel and drugging the children with iPads to ensure silence. 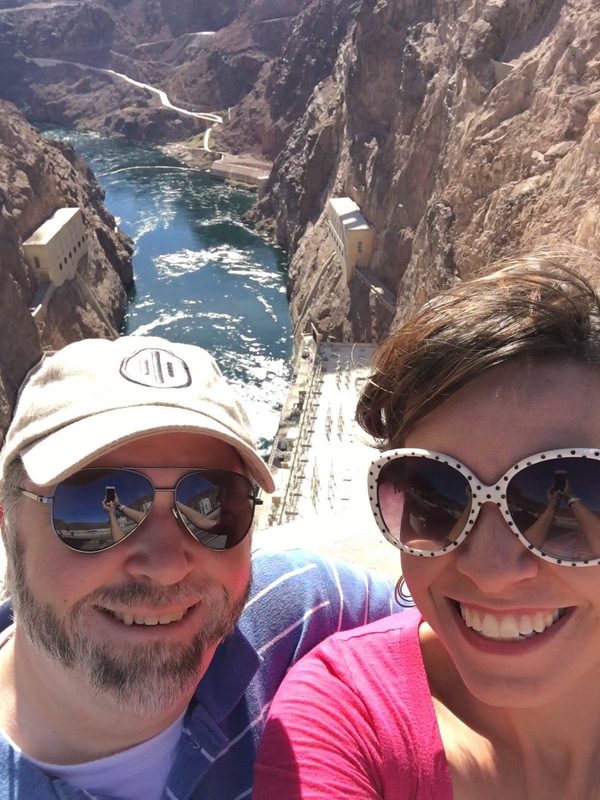 Hoover Dam…yeah, both sides of that were horrifying. So, it’s frightening. And I kind of like that. 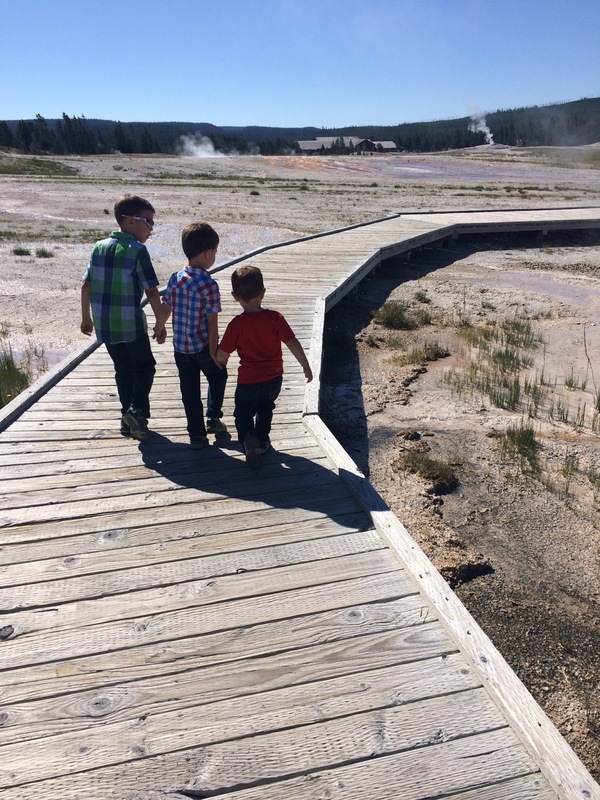 Walkways with absolutely no rails over the geothermal features in Yellowstone. Some also have boiling water in them, not just earth fire. Sure it is educational in the actual history way. We’ve learned a crazy amount about Lewis and Clark and the Civil Rights Movement and the American Revolution. We’ve learned about Westward Expansion and Pilgrims and the Civil War. But we’ve also learned how other people live and how big our country is and how much of it still doesn’t have people in it. And yet, at the same time, how many other people there are living lives parallel to our own thousands of miles away. As my daughter said recently, “It’s both cool and creepy that the Target looks the same in both Hawaii and in Georgia.” What a great observation from a kid. We learn about each other and what we find interesting. We learn our children’s personalities in new and unusual circumstances. We learn how to communicate with each other better because there’s no where to escape and the children can always hear us. We learn how to entertain ourselves for hours on end of driving and staring out of the window. We learn…and for my teacher soul that is so very satisfying. For all the embarrassment and inconvenience and uncertainty and vomit, I am so very glad we have done this. It is so much fun. Life itself is one very big adventure filled with all of these qualities–what an amazing way to get to teach our kids how to roll with it. What an amazing series of moments to share. 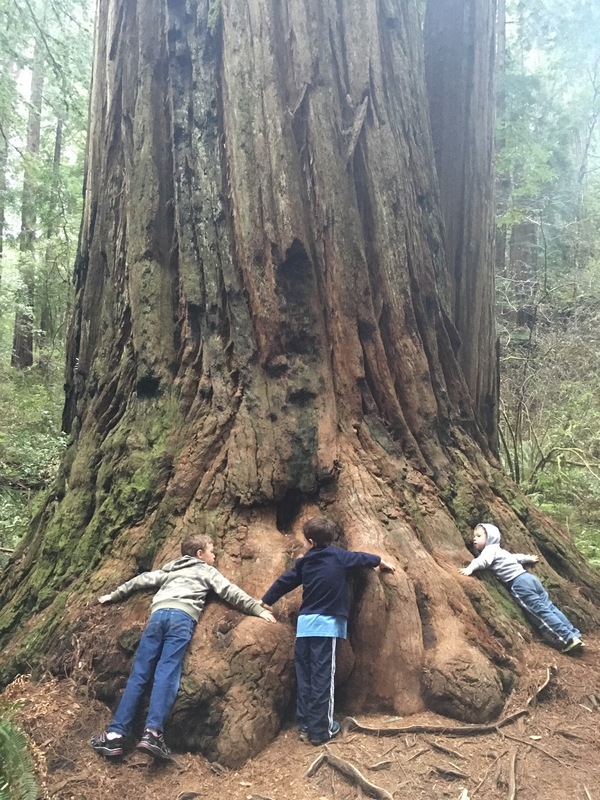 This past week we took another rented KIA minivan 3 miles down a dirt road off a crazy curvy highway in California to find a stand of redwood trees. We were the only people there when we arrived–it was about 5pm and getting dark and misty. The sunlight filtered through the giant trees and the rain chilled us a little and the only sounds were our kids (of course) and the nearby river. We found a spot where giant logs lay in a semi-circle underneath towering trees and I could not help but think that it looked like the kind of church that God himself had made. So we made our own family circle and prayed in that sacred place…thanking God for the sky and the trees and the river and the rain and the chance to see them all together. This is why now, with my jet-lagged children irritable and grumpy and picking at each other after the let-down of home again and back to routine, I’m already planning the next trip. No matter what happens on our trips, what lives up to our dreams and what doesn’t, it was always absolutely worth it because we are on the adventure together. I can’t wait to see what the next one brings. **This post was updated September 27, 2017 to reflect our finishing all 50 states. Love love love! Keep sharing and writing – you are encouraging and inspiring others! I love that I found your blog. We live in Alaska and have just had our fourth baby this year. Yet I still take my kids out and travel. In september I took all four of the kids back to the east coast solo. While we were there to see family I also took them to the statue of liberty, the erie canal museum and into NYC. I got so many weird comments but we did it. The children all took turns screaming but we all had a good time. And regardless of our trip to an alaskan cabin last winter at 45 below zero where we had to hike for over 3 miles to the cabin, the car and truck didn’t start and I was pregnant and my back hurt, I have rebooked the cabin for another adventure this coming year. This is life and I wish my kids could meet your kids! Thank you!! 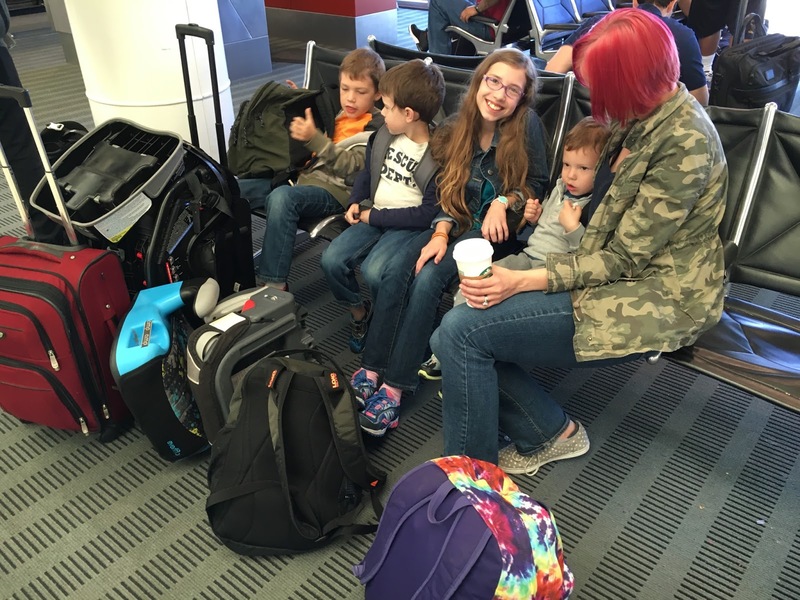 As a family of 7 who “thrives” off traveling, this was so fun and refreshing to read! Its nice to remember that despite all the challenges, it’s so worth it! !